Farrar Straus Giroux, 9780374273187, 317pp. The tenth parallel the line of latitude seven hundred miles north of the equator is a geographical and ideological front line where Christianity and Islam collide. More than half of the world's 1.3 billion Muslims live along the tenth parallel; so do sixty percent of the world's 2 billion Christians. Here, in the buzzing megacities and swarming jungles of Africa and Asia, is where the two religions meet; their encounter is shaping the future of each faith, and of whole societies as well. An award-winning investigative journalist and poet, Eliza Griswold has spent the past seven years traveling between the equator and the tenth parallel: in Nigeria, the Sudan, and Somalia, and in Indonesia, Malaysia, and the Philippines. The stories she tells in The Tenth Parallel show us that religious conflicts are also conflicts about land, water, oil, and other natural resources, and that local and tribal issues are often shaped by religious ideas. Above all, she makes clear that, for the people she writes about, one's sense of God is shaped by one's place on earth; along the tenth parallel, faith is geographic and demographic. 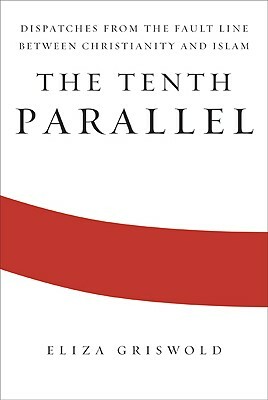 An urgent examination of the relationship between faith and worldly power, The Tenth Parallel is an essential work about the conflicts over religion, nationhood and natural resources that will remake the world in the years to come. Eliza Griswold, a fellow at the New America Foundation, received a 2010 Rome Prize from the American Academy in Rome. Her journalism has appeared in The Atlantic, The New Yorker, The New York Times Magazine, and Harper's Magazine, among others. A 2007 Nieman Fellow at Harvard University, she was awarded the first Robert I. Friedman Award for investigative reporting. A collection of her poems, Wideawake Field, was published by FSG in 2007. “Eliza Griswold's The Tenth Parallel deals with a geographical slice of the Muslim world spanning Africa and Asia. With a sharp eye and equally sharp wit, Griswold dissects the events and issues that have gripped the region, uncovering their nature through memorable encounters and personalities. The story brims with insightful details and instructive lessons. Seldom does a book of this nature ranging over such vast terrain succeed in maintaining a steady focus and an engaging lightness of touch. In her hands, Islam resounds through the voice of Muslims, and religion lives through its followers and devotees. The book is a triumph of the human imagination and capacity for intercultural exploration.” —Lamin Sanneh, author of Whose Religion is Christianity?